There's nothing more precious than your special little one all dressed up for their baptism or first communion. 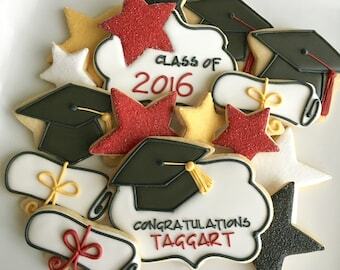 These cookies will be perfect to help celebrate that perfect day! 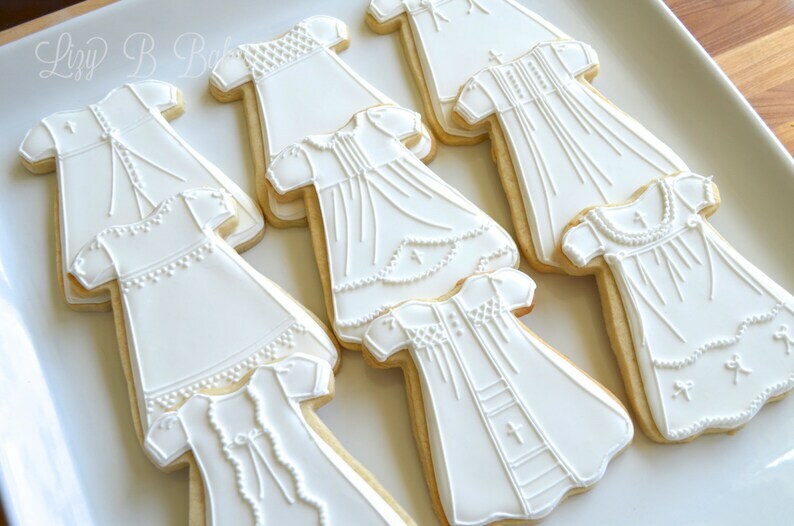 This listing is for 12 white dress cookies decorated with a variety of details! Extra are $4.00 each. Contact us to add additional cookies!